Hello, Dear Bloggites! 😀 I just finished a book that I am thinking about suggesting to my book club I am a member of at the next meeting. I have not suggested any books yet because I am a firm believer that what you suggest or recommend is a reflection up you. We have not picked a book for December and they like to read something associated with winter or Christmas. 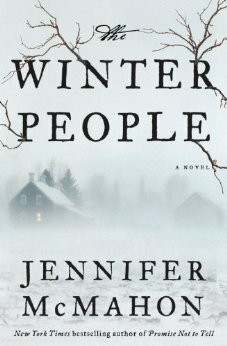 Well, The Winter People by Jennifer McMahon, does take place during the winter season and is split over two different decades. The premise of the book is about strange deaths and murder that took place in 1908 and about a present day disappearance that is tied to those deaths and murder. The Winter People storyline is surrounded around a town and a woman’s journal entries that reveal a way to bring the dead back to life. The problem with bringing dead people back to life is the risk factor of not knowing what might actually be the thing in the body that comes back. Several lives are intertwined around the deaths and murder and you go on a virtual teleportation from the past to the present throughout. I did enjoy this book. It was slow-paced, however, it felt like you had two stories in one novel because of how the author, Jennifer McMahon, wrote the book. I have never read anything from this author and this book appears to be her sixth of seven novels she has written. The story begins with Sarah writing in her journal in 1908 thinking about her daughter, Gertie, and reminiscing about her past and current situation. The entry she was writing was about her Auntie that was the local medicine woman or witch doctor, however you prefer. Auntie passed down all her secrets to Sarah because she did not have any children of her own. In present day, we meet a young lady named Ruthie who lives in the home that was once owned by Sarah and her husband, Martin. Ruthie’s Mom suddenly disappears one night and leaves Ruthie in charge of the farm and her younger sister, Fawn, while trying to figure out what happened to her Mom. As the story unfolds we meet Katherine, who is also in present day, and is suffering from the loss of her son and husband. As the fates swirl, Katherine and Ruthie cross paths because of their tie to Sarah’s journal. Each person is bound together by the words Sarah has written in her journal about her loss and the secret passed down to her by her Auntie. Mystery, murder, and mayhem are found within the pages of Sarah’s journal as well as throughout the book The Winter People.